How can I join DMAO? 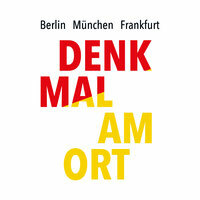 Come to one of our preparatory meetings for Denk Mal Am Ort 2019 or simply contact us by email. How can I find out whether the house or apartment I live in was the home of someone persecuted during the Nazi era? ⦁ Older residents are often familiar with the history of your house or neighbouring houses. Listening to them can be rewarding. ⦁ The Berlin directories are filed as microfiches in the BERLINER STADTBIBLIOTHEK. Addresses appear in alphabetical order according to streets, residents and firms. The microfiche is accessible to the public on request without prior notification. The Berlin Remembrance Book of Jewish Victims of National Socialism is also available at Stadtbibliothek Mitte, as is the Jewish directory for both 1929/1930 and 1931/1932. ⦁ The so-called supplementary cards to the national census records of 1939 with additional information on ancestry and education are kept in the BUNDESARCHIV BERLIN. On 17 May 1939, the residents of Berlin were called upon to declare whether all four grandparents were Jewish or non-Jewish and who else lived in their households. Digitalized data is available to the public following prior notification. You will need at least the name of the person you want to research. ⦁ Applications for compensation submitted after 1945 by survivors or their descendants for damages to their lives, health or careers are kept in the ENTSCHÄDIGUNGSBEHÖRDE of the state of Berlin. Here access to the files requires written application, giving the name and date of birth of the person to be researched. You will then be given an appointment. ⦁ The BRANDENBURGISCHES LANDESHAUPTARCHIV houses the files of the Oberfinanzdirektion Berlin-Brandenburg (regional finance office). These files detail how the German Reich acquired the fortunes of those who were expatriated, fled, were deported and murdered. Similar to the restitution authorities, access requires a written application giving the research reason and the names and dates of birth of the people concerned. ⦁ Court case documents, a register of births, marriages and deaths, and historical photographic and film material can be found in the LANDESARCHIV BERLIN. Written application is also required here. Write to us if you have any questions. Historian Jani Pietsch will be glad to help with your research.